The Ducati Monster 821 was created in tribute to the iconic Monster 900, which was launched 25-years-ago and kick-started the Monster family. Earlier this year, the range was updated further with a new Stealth version, complete with matte black paint, updated graphics and new front fairing - as well as featuring the standard adjustable forks and up-and-down quickshifter. If this is a little out of your price range, you will be pleased to know that there are currently 55 821s for sale on MCN Bikes For Sale, catering for almost any budget. Launched in 2014, the latest version of the bike features a steel trellis chassis using the engine as a stressed member, similar to the V-Twin Panigale Superbikes of old. The chassis is also a little more basic than the larger, full-fat Monster 1200's - featuring a conventional double-sided swingarm in place of a single-sided unit. It's also slightly shorter, to quicken the steering. Forgiving and easy to ride around town, the 821 would be more than ideal for a new rider moving up to their first big bike, however is capable of being far more than that. 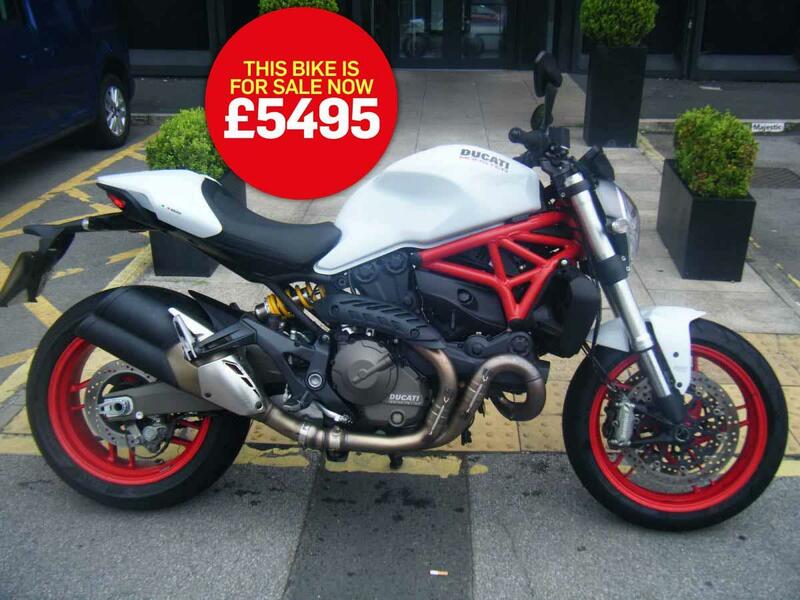 "For sale is this Ducati Monster 821. A 2015 dealer sale, this bike has had just one owner and comes with a full dealer service history. The machine is completely standard and has just 7480 miles on the clock. Both finance and part-exchange are available, too." Find a used Ducati Monster for sale.